Love your new website, or we'll refund your money. 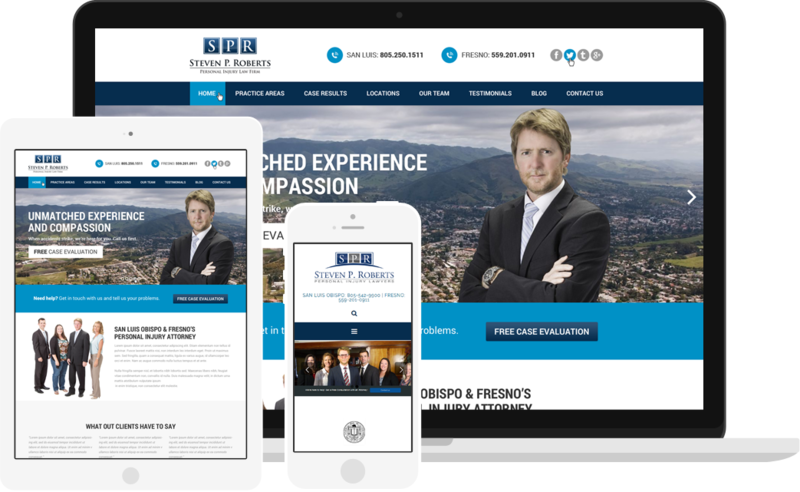 What makes our law firm website design superior to others? Elite only designs modern websites that utilize the latest technology available. Additionally, all designs are designed with the absolute best conversion practices being utilized by the web design industry. We are always on top of the latest guidelines rolled out by search engines. If you should have it, we’ve already implemented it. That includes schema, and all the common HTML tags and suggested formatting. Slow websites will get you into hot water with not only your website visitors, but search engines as well. You won’t have to worry about a slow website with us, as our designs are always performance optimized and tested. We will never hold your website hostage. Once we’ve finished building your site, and it’s paid for, it’s your property. No silly contracts or fine print. If you’d like to move your law firm’s website somewhere else, you’re free to do so. 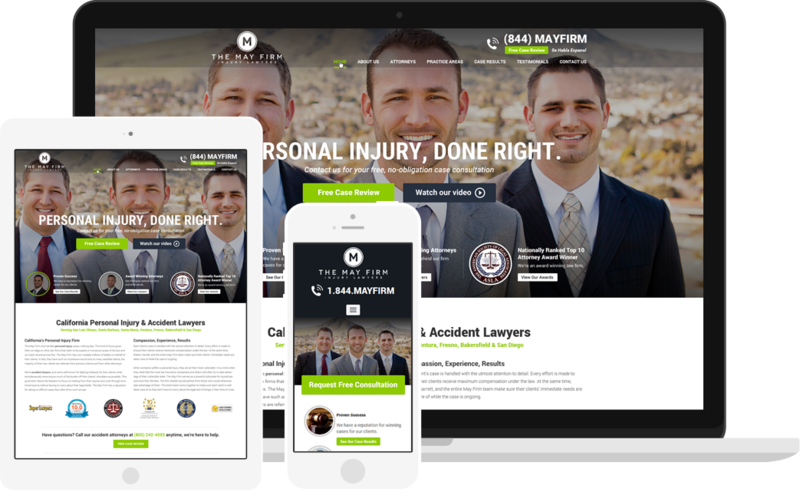 Law firm web design, without the risk of being disappointed. 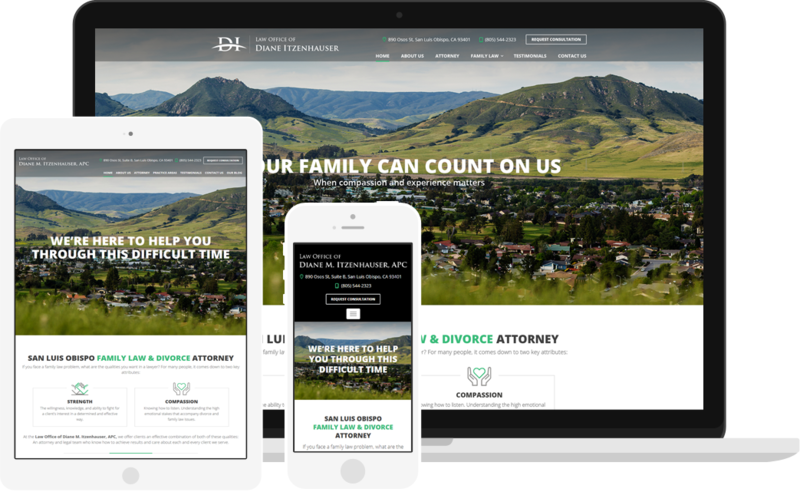 Entrusting a law firm web design agency to build an entire website for your practice isn’t an easy pill to swallow. How will it turn out? What if I don’t like the design? Do I pay for revisions? At Elite, we’re in the business of building things our clients are proud of, without reservations. Our design process is unique to just about any other agency out there. Unlike other firms that will take the full, or half of the project cost up front, we always start with just the homepage design of your website. If it’s not exactly what you want, we’ll keep working until it’s perfect. If for some reason we can’t nail it down together, you’re only responsible for the homepage design costs, not the entire project. However, we’re proud to say that we have a 100% client success rate. We’ve never once had an attorney unhappy with our design work. Our Clients Explain it Best. We only deal with the latest and greatest stuff. 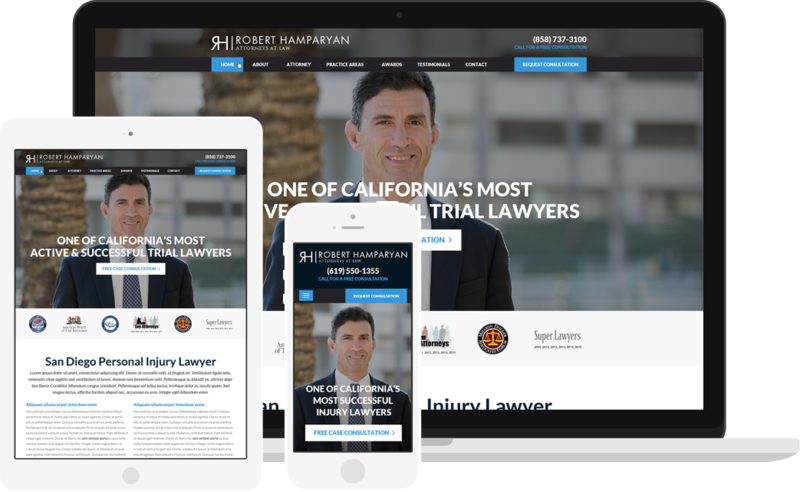 Your law firm's website will be as modern as it gets. We’re veterans in the legal marketing world, which means we know what works, and what doesn’t. Each design we produce is carefully structured to ensure it does its job: driving traffic, and capturing potential client leads. We’re constantly learning the latest guidelines set forth by search engines. Our websites are designed to capitalize on all the features search engines appreciate, which can result in better search engine rankings. Easily add new case results, client testimonials, blog posts and anything else, without any tech knowledge. We’ve custom built our own easy-to-use platform, which combines the industry standard Wordpress software, with the features you need as a lawyer. 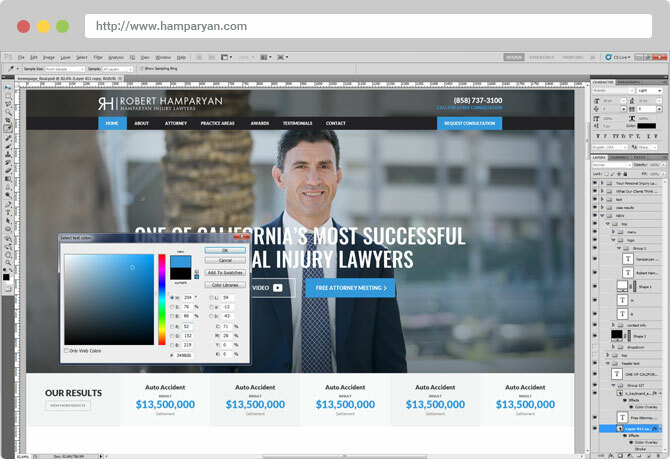 Your law firm can't afford to have a weak website design. 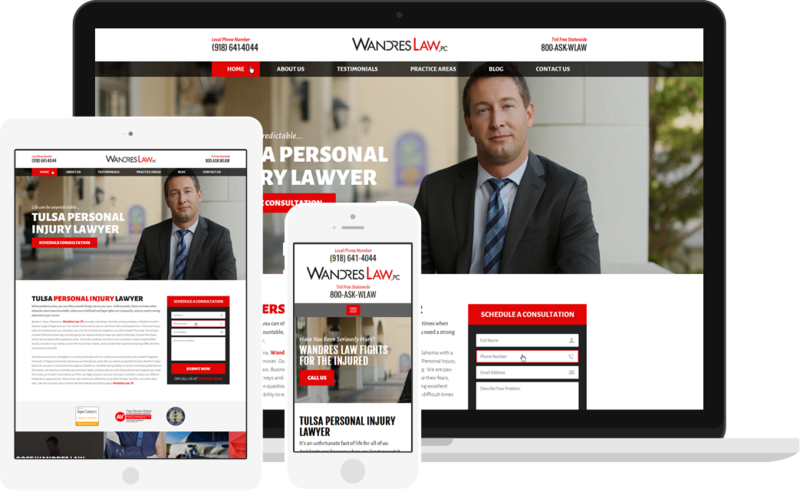 Your website is the single most important aspect of your law firm’s marketing. 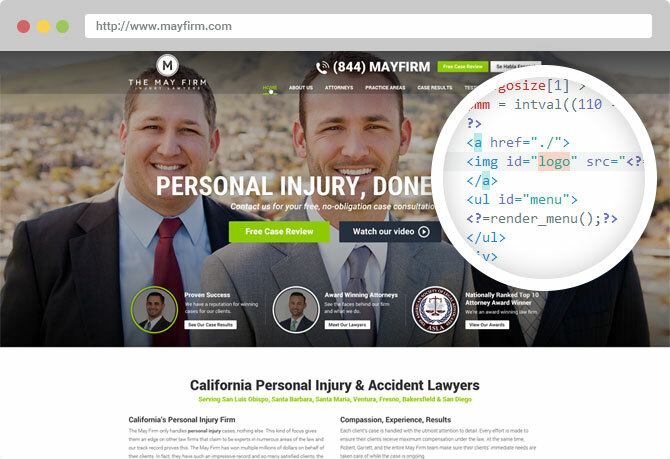 There’s no shortage of law firm web designers out there. Some of them will even design something pretty. 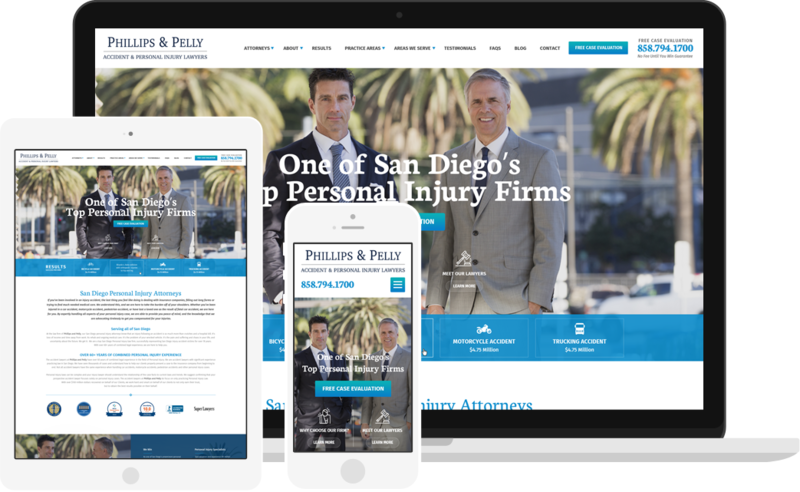 Unfortunately, many of these other law firm web design agencies fall short with the two most important aspects of legal web design: Designing a website that turns those hard earned website visitors into actual leads, and ensuring search engines love your website as much as you do. 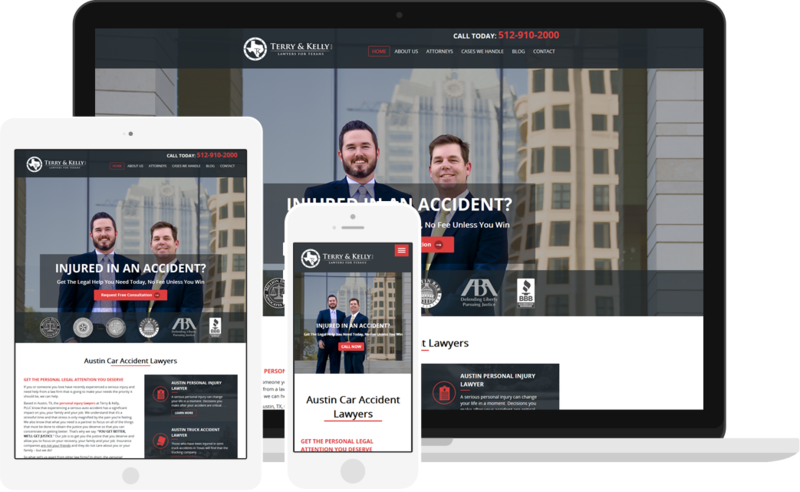 At Elite Legal Marketing, we build modern websites for lawyers who need the best of both worlds; the brilliant looks your competitors will be jealous of, and the search engine goodies under the hood that keep the search engines happy. Because we work with lawyers in some of the most competitive cities in the nation, we know what it takes to be on the first page of Google, and how to convert those precious website visitors into actual clients. 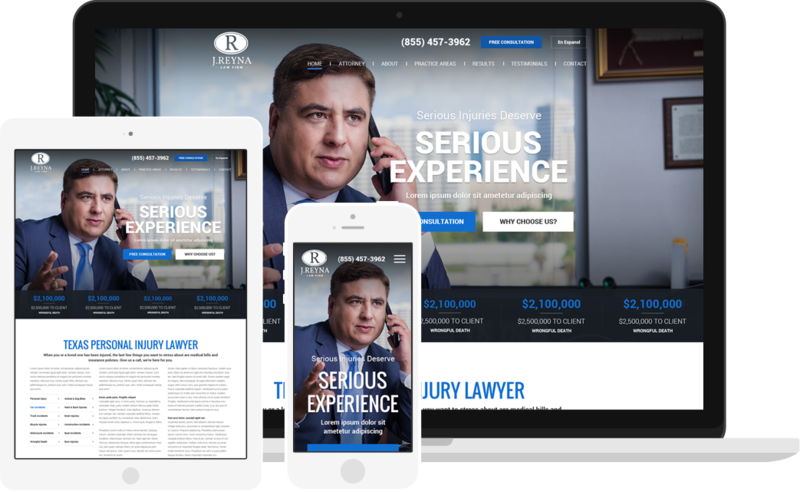 Through years of experience, we’ve established ourselves as one of the most respected law firm web design agencies in the business. Our hassle-free, legal web design process. 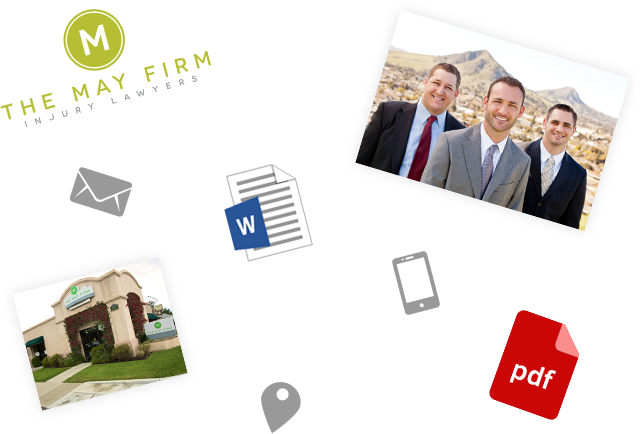 This is our starting point, where we’ll learn as much about your firm as possible. We’ll work together to fill out a design questionnaire that will help us get to know your law practice the way you know it. What separates Elite from other legal web design companies, is the time we put into research. Pretty doesn’t always translate into functional. Elite websites are designed to maximize conversions. If a potential client lands on your website, we don’t want them to leave. The single most important factor of creating a website that converts, is knowing what the market really looks like. By seeing what the competition is doing in your direct market, we’re able to position you for success. 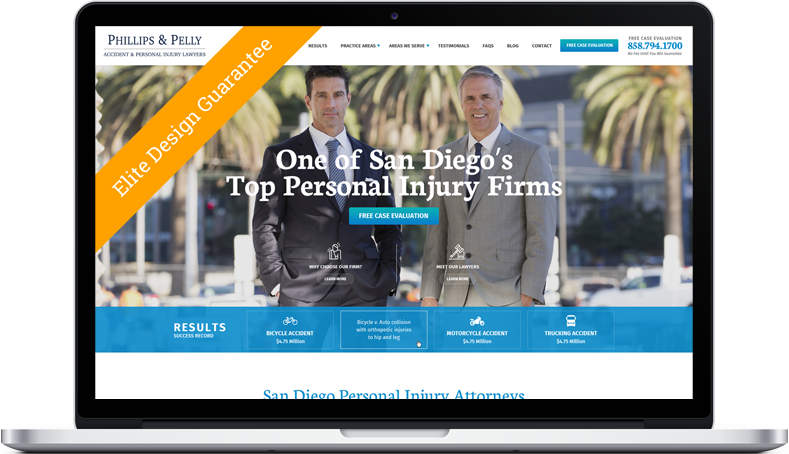 If someone is looking for a personal injury lawyer in your city, we want your website to be their last click. Now it’s time to analyze everything we’ve learned through market research and the design questionnaire. We’ll create a wireframe of content and work on perfectly organizing everything in a way that will maximize conversions, trust, expertise, and search engine visibility. Your website should be properly organized so that it demonstrates trust, expertise, and the ability to solve a visitors problem. In the legal world, this is critical. 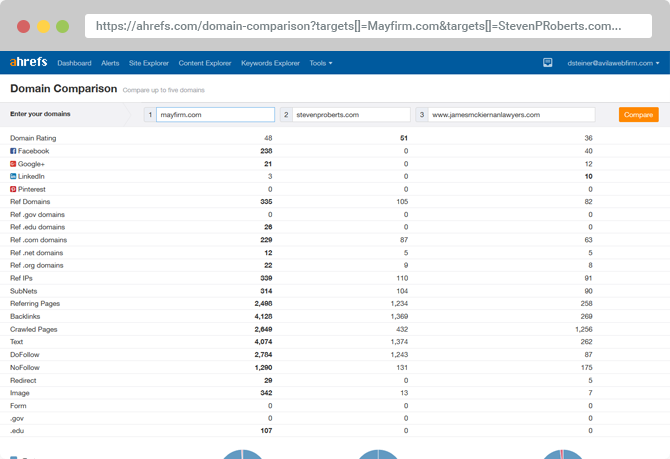 Your website should steal visitors your competitors failed to convert. At this point in time, we’ll also request photography, awards & accolades, and any other assets that could be useful in your website design. We’ll create several different homepage design mock-ups for you to review. Each will consist of different colors, styles, and content arrangements. Instead of only having one design style to choose from, you’ll have several. We always design your homepage first, before working on any sub-pages. Once we’ve nailed down the homepage and have your stamp of approval, we’ll quickly knock out the rest of the pages for your site. You’ll never be stuck with a design you don’t like. We use software that allows our clients to easily give us feedback on our designs. Instead of trying to explain what needs to edited, you’ll easily be able to click and drop notes, comments, and design revision requests. We’re one of the only legal web design companies around who offer this hands on approach, and it’s the reason why we’ve never had a client unhappy with the design work we’ve created for them. As you approve each design, we’ll immediately move them into the coding process. That means we’ll turn those beautiful graphical mock-ups into a functional website. We’re able to design and develop websites fast. Unlike other companies who hold off on development until every design is approved, Elite immediately starts coding after each design is approved. This can save days, and even weeks in some cases. Our website are almost solely built using the popular Wordpress framework. This allows our clients to easily make changes to their website, without needing technical knowledge. Once we’ve completed coding your website, we’ll have every page of your website checked for bugs, spelling and grammatical errors, and any other problems that need to be addressed. We’re looking for problems that may not appear to your eyes, but also to Google and other search engines. We’ll also be testing your site on several different devices, ranging from a desktop, to mobile phones and tablets. At this juncture, we’ll also be testing the performance of your site. It’s no secret that search engines, and your visitors, appreciate a fast loading website. 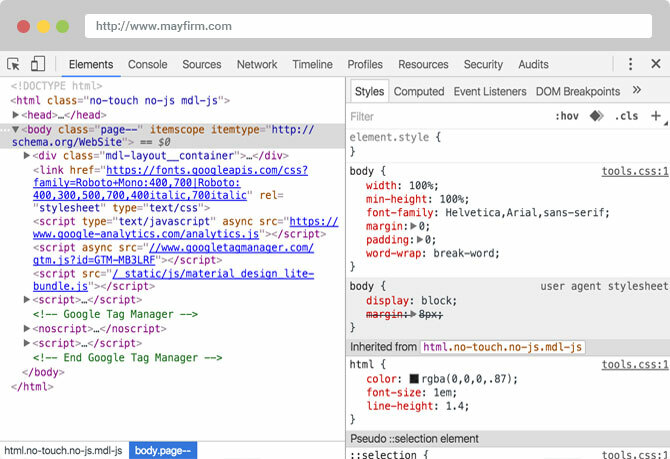 Our sites are optimized for performance. It’s not uncommon for us to achieve page load times under 1 second, which is faster than 90% of all other websites. It’s time to get your shiny new website online. If you prefer to host your own website, we’ll happily move it over for you. If you’d rather us host and manage the website for you, we’re happy to help. With your final approval, the site will go live so the world can see. For clients that prefer Elite to host and manage their websites, your site will be put on a cloud-based, high performance server with the latest technologies available. Speed matters. Once your site is live, it’s time to start marketing! If we’re working together on a marketing campaign, too… we’ll immediately get started. Your firm's marketing is only as good as the people behind it. 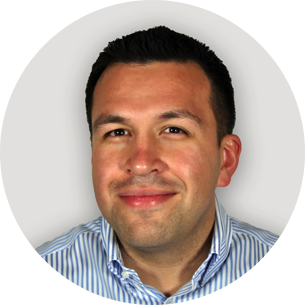 Dan has been in the web design and digital marketing realm since 12 years old. Feeling old yet? He's worked with hundreds of brands throughout the years, ranging from small law practices, to large fortune 500 companies. We is regarded as a marketing influencer and teacher who writes articles for numerous respected publishers like Entrepreneur, Inc, CIO, Huffington Post, and numerous others. 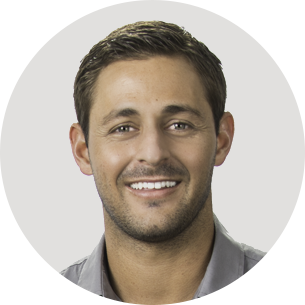 Since 2009, Brian has helped numerous businesses create financial success that can be measured in the millions. For the past several years, Brian has worked exclusively with attorneys and law firms, helping them increase their visibility online and retain more of the types of clients they need to grow their practice. He is an active contributor for Moz and Search Engine Journal, among other marketing publishers. Do I own my website after you finish building it? Once you've paid for your site, it's yours. We will never hold your website hostage or charge for add-on services that you don't need. Can I make edits and updates to my site without technical knowledge? Our websites are designed to be managed by you, without technical experience. Of course, we're happy to help if you need it. Will my website be fast? Because of the recent Google algorithm updates that now include page speed as a ranking factor, attorneys and law firms are paying a lot more to the speed of their websites. Luckily for you, we've been obsessed with page speed long before it was relevant to SEO. 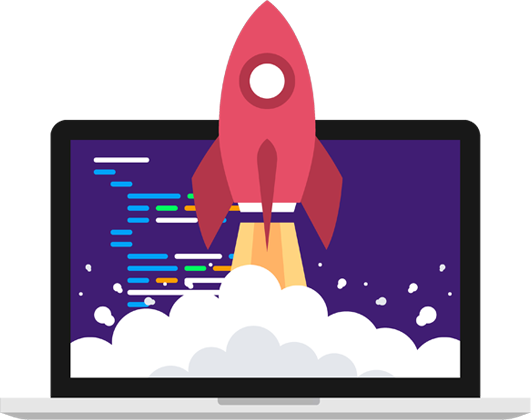 Our websites are built to be blazing fast, utilizing the latest and greatest technologies available. Most of our website projects load in under a second, which is faster than 90% of all websites online. If speed is a concern, we have the technical experience here in house. Do you offer web hosting? We do offer hosting. Our server is a cloud-based ultra-fast Wordpress optimized hosting platform that we've configured specifically for our needs. It includes the latest and greatest technologies available. We will only host websites managed by us, due to security concerns (we don't want a poorly built site to become a security risk for our other clients!) If you have specific questions about our hosting platform, let us know. Do you use pre-made templates? We do not. All of our website design builds are custom, 100% unique website designs that we can both be proud of. What does it cost? No two projects are the same in our line of work. Our websites generally start at around $4500 for small or solo practices, and can vary significantly depending on the size of the project, and what's involved. We offer discounts for clients who need both digital marketing services, and a custom website.